Let an expert guide you through your studies! Navigating through the complex world of statistics can be challenging and time consuming. Where to begin? What topics should I review to expand my knowledge base? These questions can be difficult to answer, especially if you are studying alone. At Lecturio we understand this, which is why we provide direct access to self-paced lectures from a statistics expert. Join Dr. Raywat Deonandan, Assistant Professor of Health Sciences at the University of Ottawa, in his virtual classroom and review statistics through high-yield lectures supported by interactive quizzes, topic reviews and mnemonics. 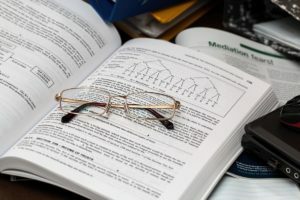 Whether you are a medical student reviewing for your USMLE Step 1 or a healthcare professional interested in increasing your knowledge base, don't get lost in the vast world of statistics. Let an expert guide your way. As a medical student, you have probably already made experiences with tests, e.g. admission tests for your university. Achievement tests and personality tests, along with observations and interviews, are important methods for data acquisition. In the following article, you can read everything on study designs, types of studies, data acquisition and interpretation. After this, you will be prepared for your next exam and you will know exactly which types of questions you should ask your patient at which point during the anamnesis! great, simple straight forward. Liked the examples and the questions asked. I'm studying for the CBIC test for Infection Control. I found it helpful in simplifying ideas. I understand the concepts much better now. The diagrams were helpful and I liked that he speaks calmly. the clarity is priceless! To reflect clarity in a topic as mindnumbing (for some, like me) as stats, is truly an art. Kudos.